Montana Tech golfer Sean Benson and the Oredigger golf team will head into the final stretch of the season with the memory of Lee LaBreche close to heart. The Montana Tech golf team will sport hats bearing the initials L.L. as they head to the Frontier Conference Tournament to honor their late coach Lee LaBreche who passed away in February at the age of 55. With the Frontier Conference Tournament looming, the Montana Tech golf team will be playing in honor of their late coach, Lee LaBreche, who passed away on Feb. 22. BUTTE — Whether he was working as the county coroner, teeing off at the Butte Country Club or prowling the sidelines as the defensive coordinator for his cherished alma mater Butte Central, for decades Lee LaBreche was a beloved figure and larger-than-life personality in the Butte-Silver Bow community. His death on Feb. 22 at the age of 55 was felt far and wide throughout the town where to so many people spanning multiple generations he had been a loyal friend, an encouraging mentor and an inspiring coach. For the golf program at Montana Tech, he was the coach who helped take a fledgling program to the next level. LaBreche joined the Oredigger golf team as an assistant coach in 2012 and was promoted to head coach three years ago, going on to recruit a slew of All-State players into Tech ranks. Sean Ryan, who played his entire golf career at Tech under LaBreche and has now been tasked with coaching the Orediggers on an interim basis through the remainder of the season, said there’s no doubt that LaBreche left a lasting legacy with the team. Benson claimed the 2014 Class AA crown with Billings Senior during his senior year and was heavily recruited by hometown colleges Rocky Mountain College and Montana State University Billings. His decision to sign with Tech was largely spurred by the strength of its engineering programs. But the mechanical engineering student's first meeting with LaBreche helped seal the deal. During his official campus visit in the spring of 2015, the first thing that Benson observed about his future coach was his trademark handlebar mustache. “I thought, ‘Man that is a great mustache,’” Benson recalled with a chuckle. The second thing that Benson discerned — the attribute that let him know Montana Tech was the college he wanted to golf for — was LaBreche’s continuously sunny and caring disposition. “I knew this was a guy that was going to care about me, not just as a golfer, but as a person,” Benson said. Benson also remembered that, during their first encounter, LaBreche made him a promise: Qualify for the national tournament and he’d buy him a steak dinner. With his college career drawing to a close, Benson still plans on ordering that meal if he meets LaBreche's original challenge to him. Benson and the Orediggers will get their chance to punch their tickets to the national tournament on April 15-17 at the Frontier Conference Tournament at Papago Golf Course in Phoenix where automatic bids will be awarded to the winning teams and first-place individuals. 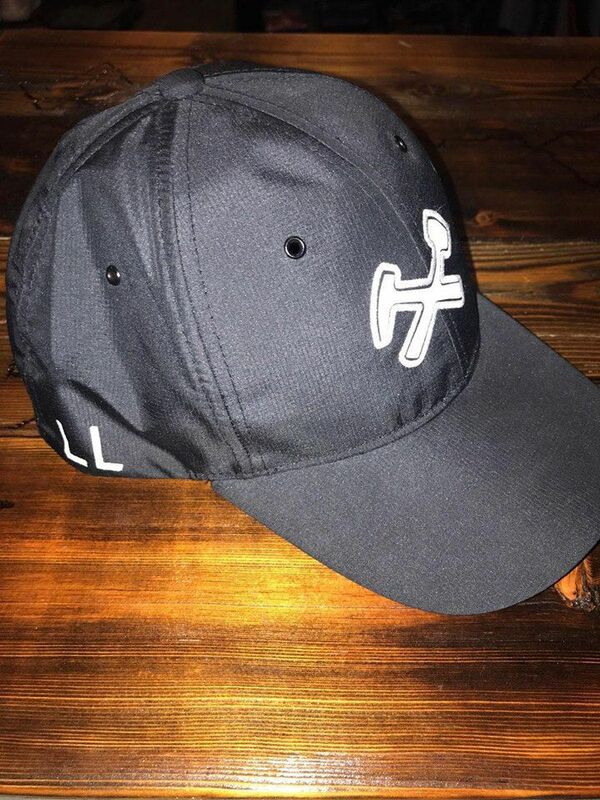 LaBreche's memory will be present as all Tech players will wear hats with the initials L.L. emblazoned on the side when they take to the fairway in Arizona to honor the man who was a coach and so much more. "It took a while for it to set in," Ryan said of his reaction to learning that LaBreche had passed away. "I still to this day walk into the MAC or walk into the Butte Country Club and expect to see Lee or hear his voice. He was just like the world’s biggest, kindest, greatest man." Benson said that the team has been practicing with heavy hearts since LaBreche passed. But when they tee off for the final time this season, it'll feel as if he's still with them.